When you really start to investigate the safety of your home it is tremendously beneficial to look at both detection and prevention in regards to security. Looking at your homes security through the lens of both detection and prevention will help you to both understand your homes security, and therefore best protect it. There are different security measures that are designed with both detection and prevention in mind. An expert security system will use both these elements in harmony, providing a comprehensive level of protection. Preventing a security breach from ever even occurring is obviously the most optimal situation for your home or businesses security. 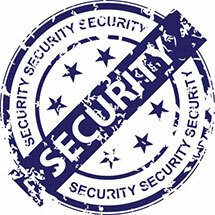 There are many security measures that are designed with prevention in mind. They range from the simple to the complex. The simple, yet strategic implementation of some motion detection lights is a great preventative measure that is easy and can be very effective. Another preventive security measure that seems basic, but provides a great level of protection is having secure and updated windows and doors that are re-enforced and will prevent a security breach from occurring. A more technologically advanced security measure you may wish to employ in hopes of prevention is the use of security cameras. The simple presence of a security camera may prevent a thief from targeting your home, and moving on to the next. It is important to note that security cameras can also be seen as an element of detection, which is discussed further under DETECTION. The single most important security measure you can have in you home or business that will prevent a security breach from occurring is to have all points of entry properly locked. Many fail to recognize that locks are still at the forefront of any well-designed security system. They are the first line of defense. The importance that locks present in your home or businesses security warrants not only the proper installation of a lock, but also the lock itself. All locksmiths ARE NOT the same, and neither are all locks. Only an expert security company will employ locksmiths that can outfit you with the best locks, and be trained in how to properly install locks. This cannot be emphasized enough because a lock that is not installed correctly is almost as ineffective as a door with no lock at all. If an intruder has managed to get through your first (preventive) line of security measures, it is crucial to have a second line of security found in devices designed for detection. Devices commonly seen as detection security measures include: motion detectors, window and door monitors, and security cameras. These are all elements that will detect an intruder, trigger an alarm, and contact the proper authorities. It is important to note that security cameras are different from motion detectors or door monitors, for example, because they will not trigger an alarm. However, they can record a break in, thus detecting it, and providing evidence that may be helpful to the authorities. Now that we have taken a look at prevention and detection in regards to your security, it is important to note that without the support of an expert security company your security measures do not provide the level of protection that your home or business deserve. This is especially true when it comes to detection security devices, if you do not have an expert security system company properly monitoring an alarm that may have been triggered by a motion detector, then the alarm is falling on deaf ears, and the detection is rendered meaningless. Detecting an intruder immediately is imperative. An early detection is the difference between an intruder going back out the basement window in which he/she came in, or coming up the stairs. Although different, prevention and detection are equally important in providing a unified front that provides you with the best security possible.